The neighborhood known as La Candelaria is what makes up the Medellin Centro (aka downtown). 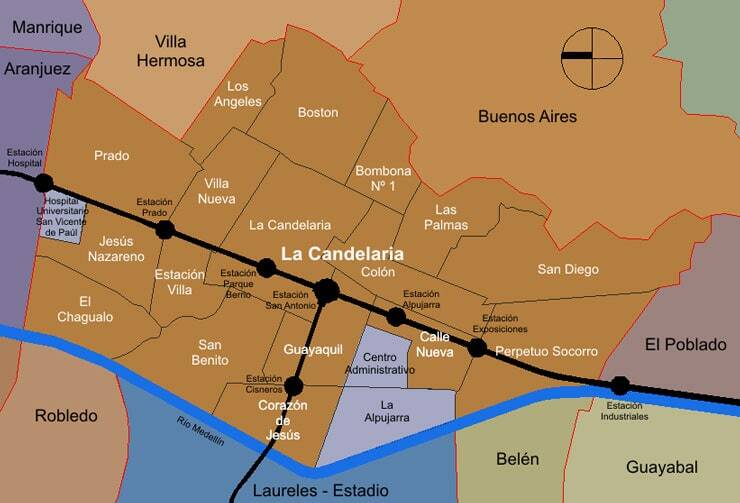 While the name might officially be La Candelaria, pretty much everyone just calls it El Centro. The Medellin Centro is still very much the heart of economic activity in this city and where you’ll see the largest concentration of people. While I don’t recommend it as the best place when people ask me where to stay in Medellin (there are better neighborhoods for day-to-day living), I still think that it is a cool place to come and explore from time to time. 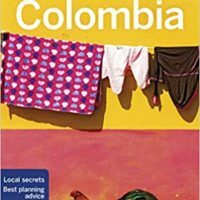  Don’t miss the printable Colombia Travel Tips at the bottom of this post which will help you plan a better trip and get more out of Colombia. There is a certain beat or pulse to life in downtown Medellin that no other neighborhood can match, and while this part of town can be somewhat gritty, raw, and even sketchy at times, there are still plenty of awesome things to see, do, eat, drink, and explore. 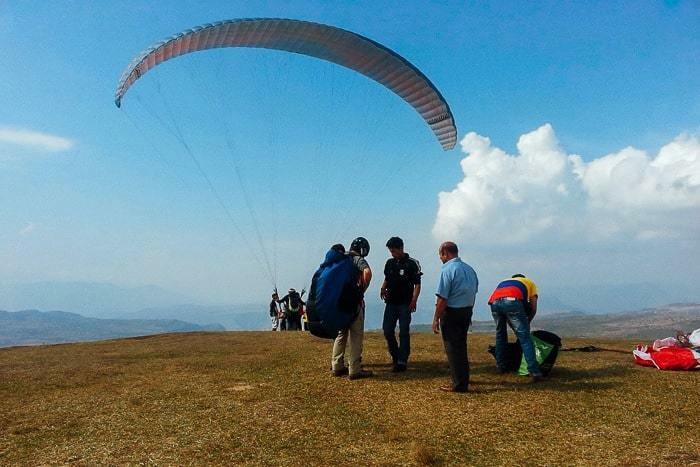 I think you’d be remiss if you came to Medellin and did NOT visit El Centro. 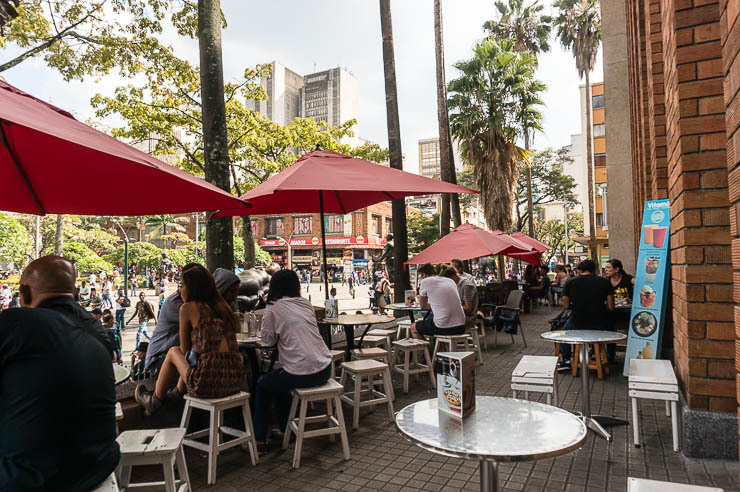 Even in the few years that I’ve been here in town, I’ve watched downtown Medellin morph and grow and change… There are some, dare I say, downright cool places in the Medellin Centro that you just won’t find elsewhere. This is all to say that everyone visiting Medellin should definitely check out the gritty, chaotic, dynamic heart of this city. 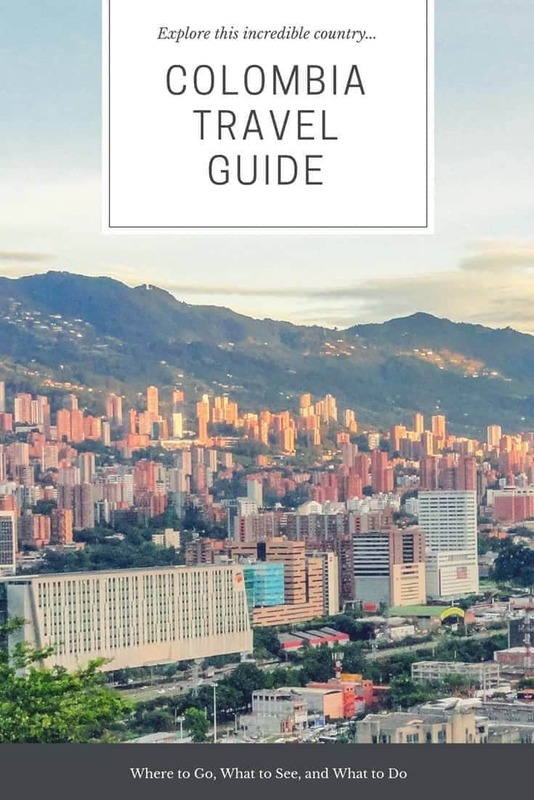 In this guide, we will only be covering downtown Medellin (check out my more expansive guide of things to do in Medellin if that’s what you are looking for) by looking at getting around, safety, places to visit, places to eat, nightlife, and coffee shops, and just the coolest things to do in El Centro Medellin. 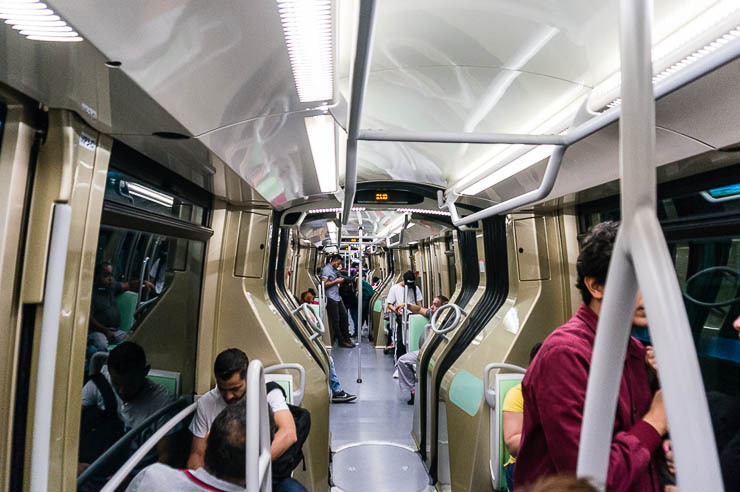 The Medellin Centro is very easily accessible, whether you’re coming from Poblado, Laureles, Envigado or anywhere else… Virtually all the buses head that way (look for any bus that says San Antonio, Alpujarra, Parque Berrio), and it is at the cross section of both metro lines. 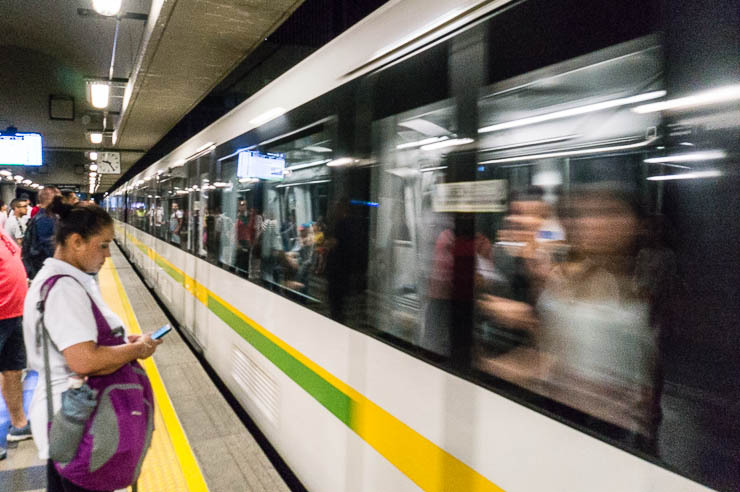 The best metro stops to use would be either San Antonio or Parque Berrio, as either one will spit you out in the heart of Medellin’s downtown where everything is a short walk away. 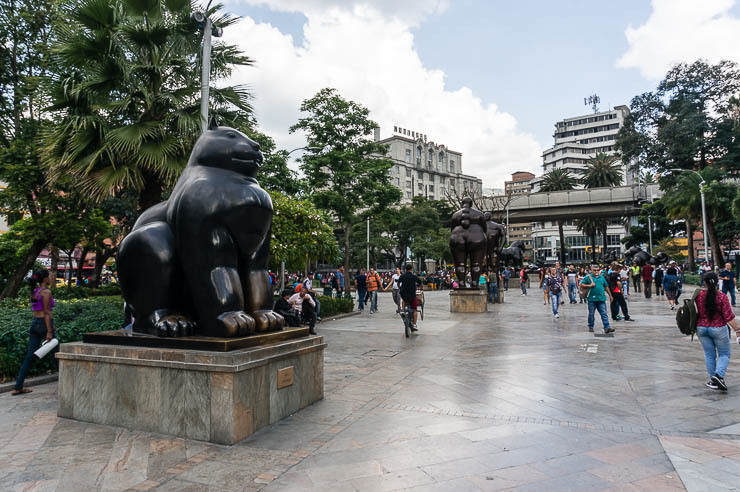 The heart of tourist interest in Medellin’s Centro would be Plaza Botero (which we will discuss later) which is closest to the Parque Berrio Metro Station and is where I would recommend starting out your exploration. 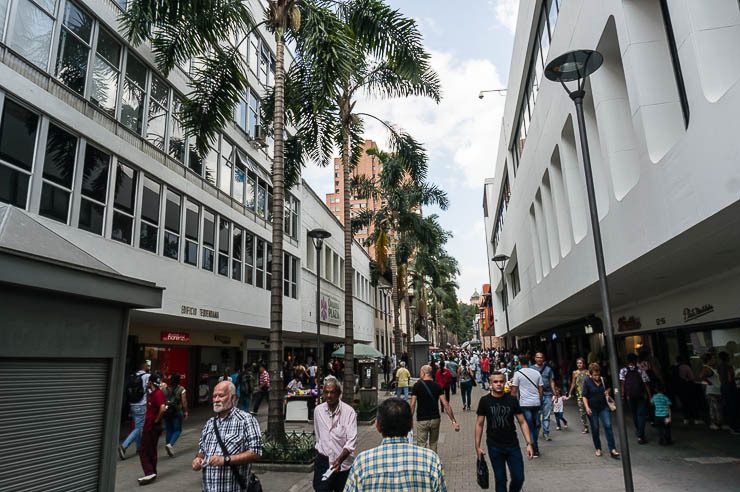 Downtown Medellin should be thought of in two halves, bisected by Avenida Oriental which is what Avenida Poblado becomes as it passes the San Diego Shopping Mall. The west half of downtown is the downtown core and then east of Avenida Oriental it transitions into a more residential area (although still decidedly urban in character). This map of Medellin Centro is actually flipped on its side, so north is to the left, east is up. 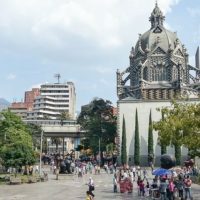 The Medellin Centro does NOT have a reputation as being the safest place. Indeed, statistically, it is the most dangerous part of Medellin in terms of robberies and so forth. 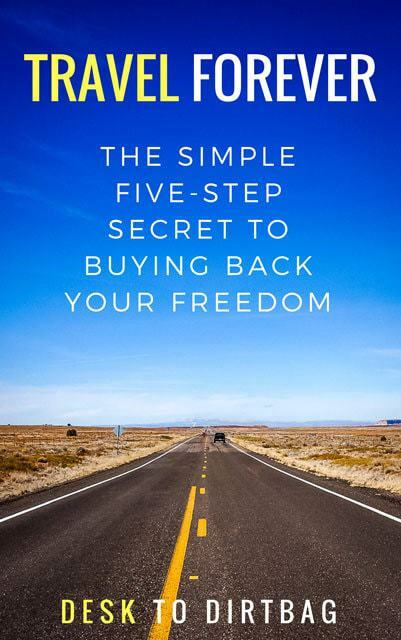 While I think that El Centro is safe to visit, even alone, there are some general precautions that you should take when venturing around these parts. Medellin Centro Tip: Always stick to well-traveled areas where you see a lot of people. During the daytime, all the places discussed in this article are generally safe, but at night is a different story. The downtown core (the area west of Avenida Oriental) is mostly workers that are leaving by about 6:30 or 7 pm (at dark). The area east of Avenida Oriental is more residential and thus not so sketchy, but I would still recommend against wandering around any part of the Medellin Centro at night unless you know the area. As a rule at night, go directly where you gotta go and use taxis (Easy Taxi app). The areas both directly north or directly west of Plaza Botero (the centerpiece of downtown Medellin) is VERY sketchy. Don’t head that way, even in the daytime. Do not bring much in the way of valuables and cash downtown, be discrete with things like cellphones or cameras. I would not bring a backpack or purse at all here. If you do bring a backpack, take note of when and where locals wear their backpack in front of them and do the same. 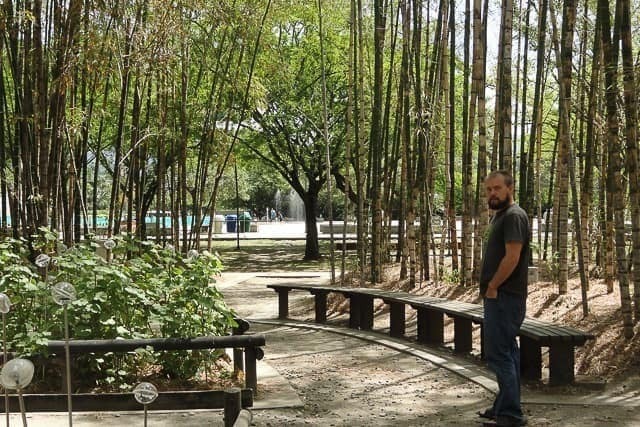 Watch your pockets in crowded areas, places like Parque Berrio are notorious for pickpockets. This is all pretty common sense stuff in a big, bustling Latin American city. Just be cautious here and you should be fine. 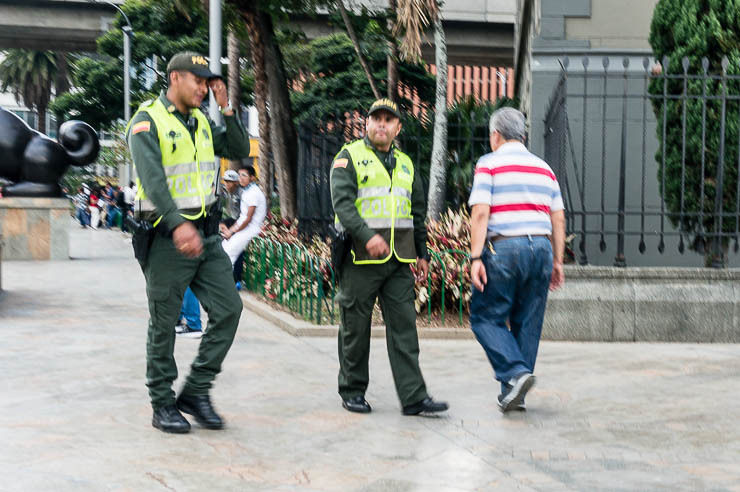 Thankfully, there is a fairly strong police presence throughout the main areas of interest in downtown Medellin. This map shows the various points of interests, restaurants, cafes, and so forth that we are going to discuss in this article. Avenida Oriental discussed earlier is the large avenue running north to south (seen here as white then transitioning into yellow before turning towards Prado). The area outlined on the map in yellow is what I would generally consider being the area of interest to foreign tourists visiting the Medellin Centro AND the area that would generally be considered safe to visit during the daylight hours (refer to the safety section for more details). While I’ve mentioned that I wouldn’t put El Centro at the top of my list for where to stay, there are a growing number of travelers who choose to stay in El Centro and love it. 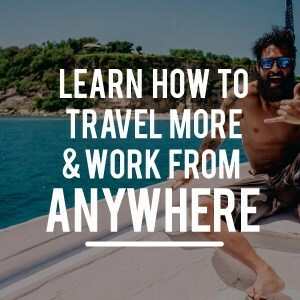 That may be you… Please check out my much more detailed discussion about where to stay in Medellin as I discuss the various options and what I’d consider the best neighborhoods. The long and the short of it for El Centro is that I would only seriously look at staying somewhere just east of Avenida Oriental, in places close to Torres de Bombona or Parque Boston. 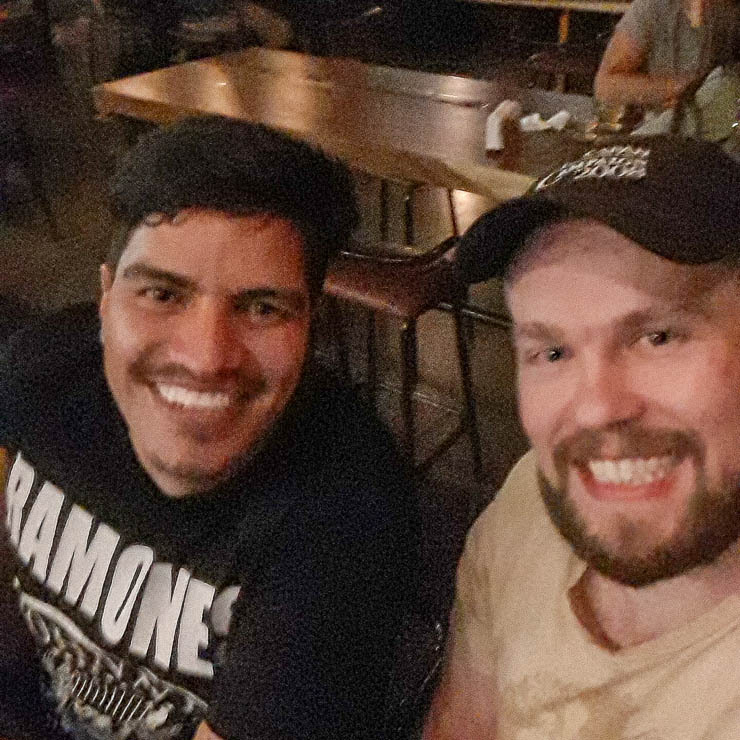 In my list of the best Medellin hostels, there was one place in El Centro that made the cut, and that’s Medallo Social Hostal near Parque Boston. Another great option is to look on Airbnb where you can get a pretty great place for a much better value (since it isn’t as popular as other neighborhoods). 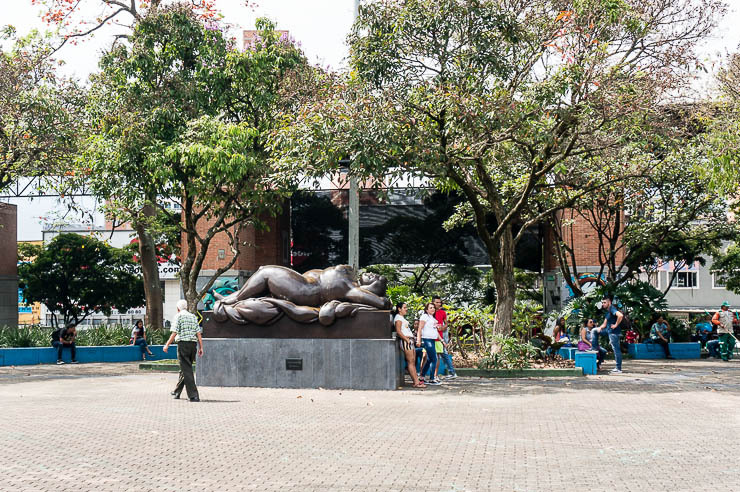 Plaza Botero is basically the first stop that any tourist would want to make when they visit downtown Medellin. This plaza is decorated with 21 bronze statues by Fernando Botero, Colombia’s most famous artist and who was originally from Medellin. The Botero style is defined by his plump or fat figures which is characterized in everything from his portraits to still lifes. 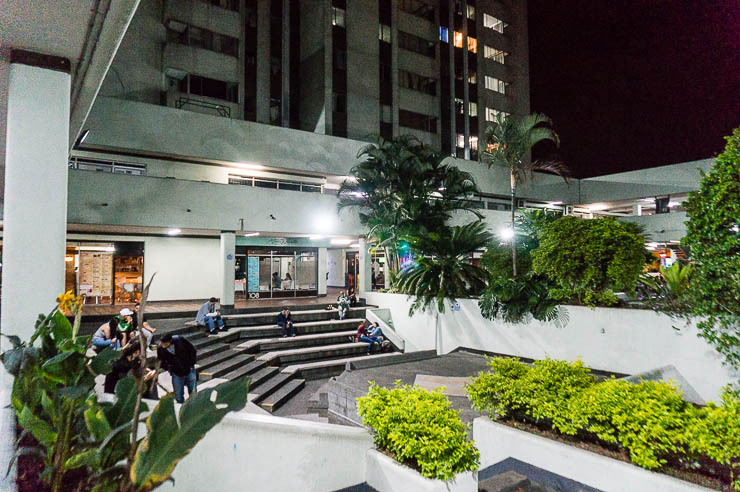 On one end of the plaza sits the Museo de Antioquia and the other sits the checkerboard patterned Palacio de la Cultura, below the famous Coltejer Tower and beside the iconic elevated metro track (the system is a tremendous source of local pride). 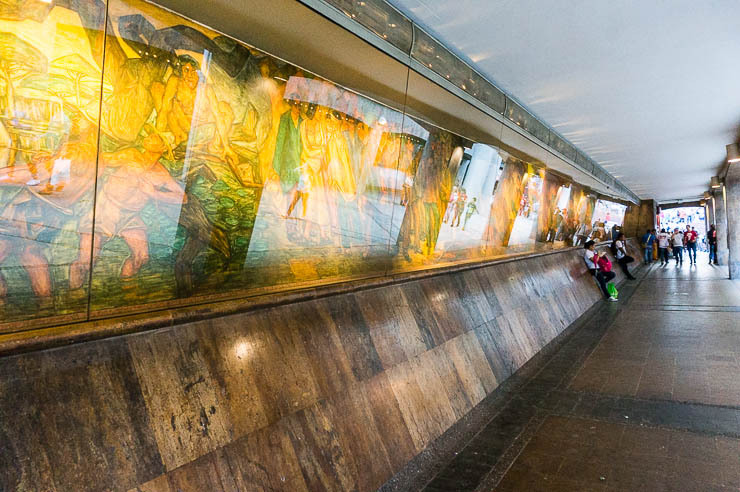 This plaza with free artwork from a world-renowned artist is a must see and one of the top things to do in Medellin, for sure. Right on the edge of Plaza Botero is the Museo de Antioquia, where inside you will find more incredible works from Fernando Botero, including more statues of his, along with many of his paintings, again in that plump style with exaggerated figures. 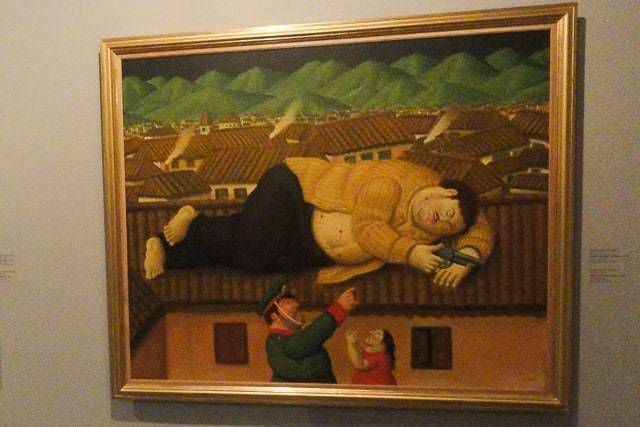 While the main show is the works by Botero, there is a range of other artwork from other Colombians, international artists, modernist works, and even early works from the so-called conquest of the Americas. If you plan a day in El Centro, visiting here during midday for a few hours is a great way to escape the strong midday sun. The museum has an entrance fee of about $6 for foreigners and is definitely worth the money. Plan to spend at least two hours here. Coltejer Tower is the tallest building in Medellin at 574 feet and was designed to represent a large industrial sewing needle, representing the textile company for which it is named. 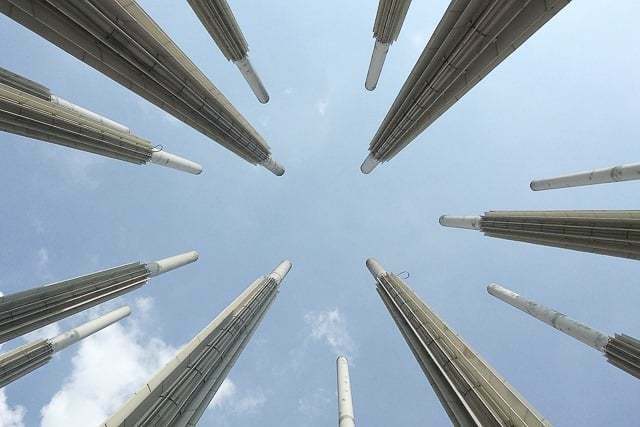 It is an emblematic symbol of Medellin, perhaps second now to the Medellin metro system. 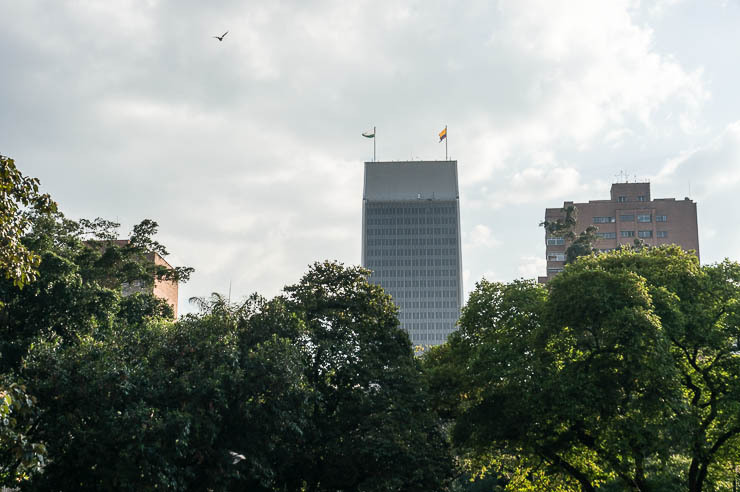 While the tower itself doesn’t offer anything of interest for a tourist, it is an important landmark from which you can orient yourself while in Medellin’s downtown. 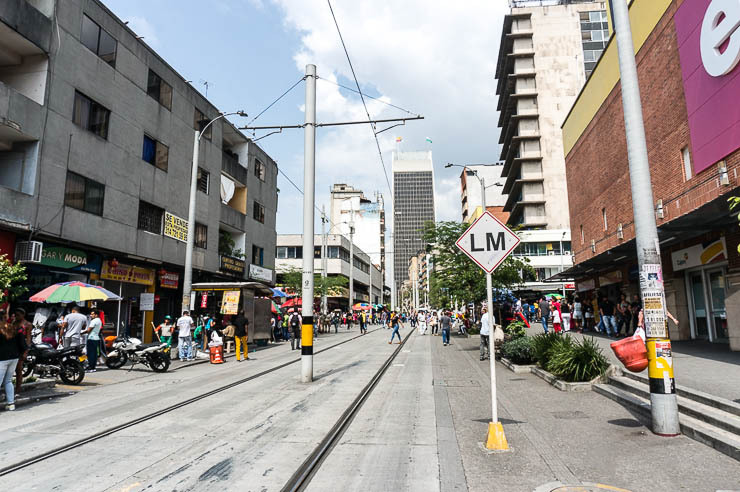 For instance, in terms of orientation, Junnin Street sits right at the foot of Coltejer, and this street is probably the most agreeable part of Medellin’s downtown core… It is a cool little pedestrian street filled with shopping, restaurants, and flower vendors. This street is about as upscale as downtown Medellin gets, with a number of (locally) big name stores and restaurants. It is just a generally nice place to walk along and grab a bite to eat. 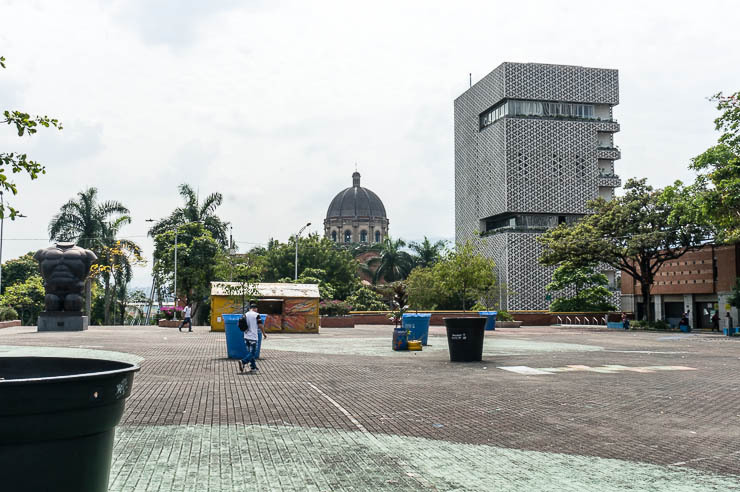 Personally, I love cities that prioritize pedestrian-only spaces, and while Junnin is the best here in Medellin, there are others like Carabobo or the newly formed Paseo Bolivar which are long stretches of pedestrian-only space. As a side note, Junnin street is the basis for the local word “Junninear” which is a verb that basically means window shopping. Parque Bolivar sits at the northern end of Junnin Street and is a large green park where you will see all sorts of characters hanging out in the plaza. It’s a cool enough space, but the real draw here is the first Saturday of every month when the entire plaza converts into a giant open-air market with people selling hand-made goods, antiques, paintings, and so much more. 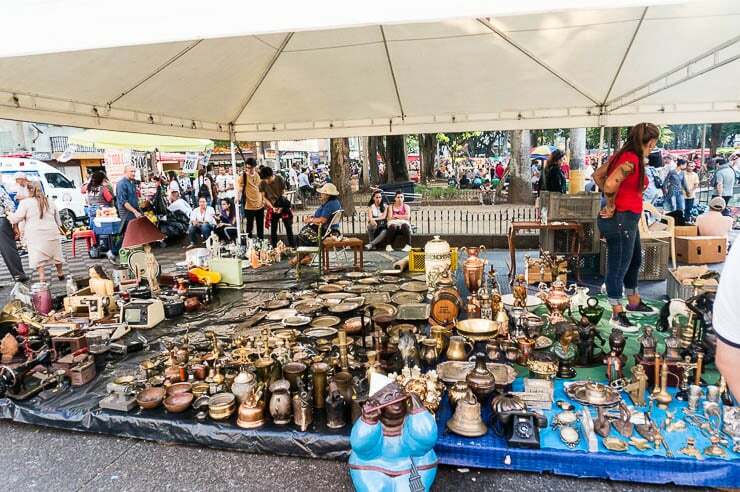 While there are smaller open-air markets that pop up throughout Medellin, this big one in Parque Bolivar is the best of the best in terms of the sheer variety on offer and the number of vendors present. The market is a really cool space, and something I’d love to see on a weekly basis, rather than monthly. But if you are here during a first Saturday, make it a point to come here! 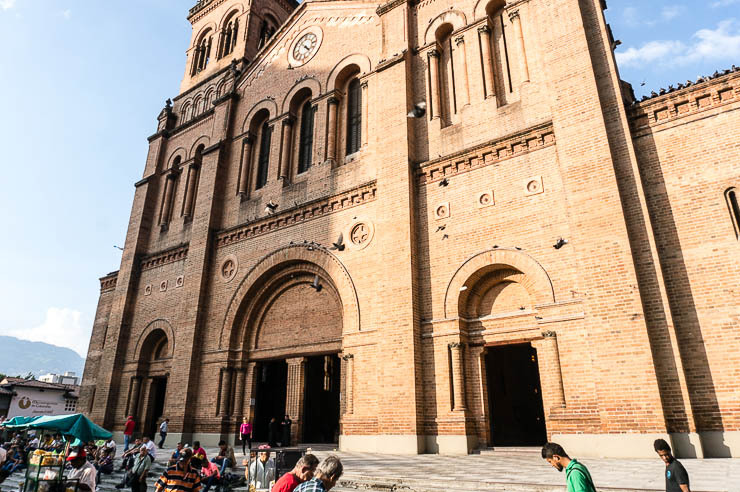 At the end of Parque Bolivar is the largest church in Medellin, the Catedral Basilica Metropolitana, which is also supposedly the largest brick oven baked church in the world… So there you go! There are quite a few churches throughout Medellin, but this one is what I’d call the most impressive due to its sheer size. It isn’t particularly jaw-dropping, but the inside is somewhat ornate as you’d expect with any Catholic Church. 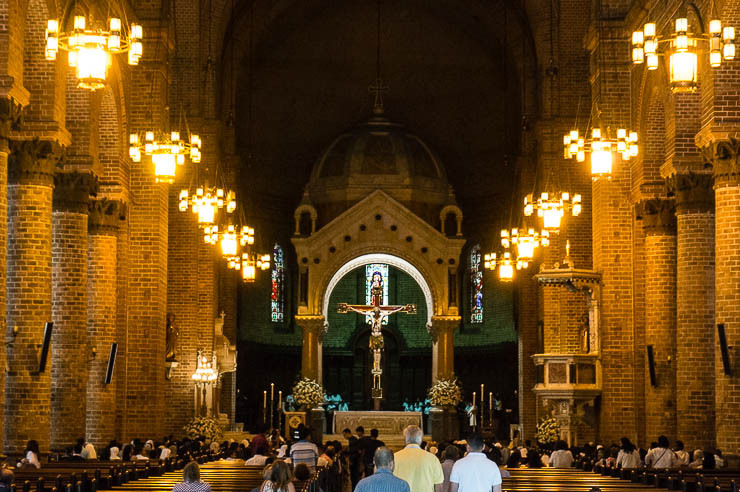 It is worth popping your head into… If you’re looking for the oldest church in Medellin, be sure to check out the Basilica de la Candelaria from which the neighborhood gets its name. East of Parque Bolivar, across the Avenida Oriental, sits the Museo Casa de la Memoria. It is a museum dedicated to the history of violence and injustice that occurred (and occurs) in Medellin and throughout Colombia. The main focus here is on the armed conflicts and wars which have brought hardships to generations of Colombians. The museum itself is free and is worth a visit. While the story it tells is particularly sad, the museum is fairly small and not what I would call the most interesting ever. 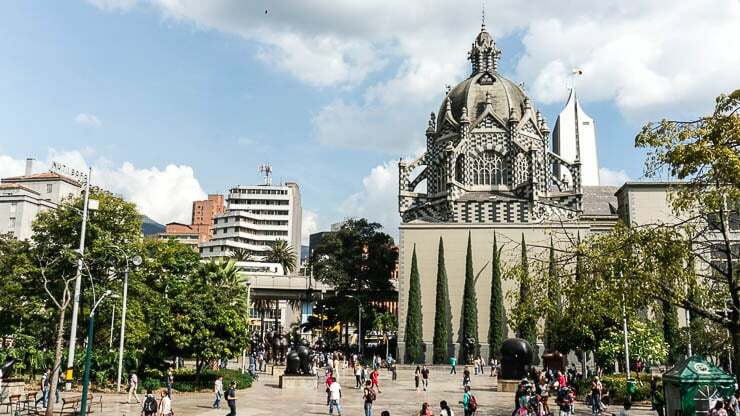 The Teatro Pablo Tobon Uribe is the largest theater in Medellin and an important landmark as you make your way to or from the Boston neighborhood. There are frequent theatrical shows here (maybe of interest if your Spanish is good enough), but there are also infrequent live music shows ranging from classical to rock to rap and other events. You may want to check the calendar of events to see if there is anything that calls to you. But downtown Medellin has a number of much smaller theater venues (and a thriving scene, actually) which sometimes offers up free shows. Sitting on the southern edge of the downtown core is Plaza Cisneros, aka Parque de las Luces, which is an open-air plaza which was retrofitted with a number of tall columns with lights that glow and change colors after dark. It is a cool space even during daylight, though if you go at night, remember our earlier talk about safety… It’s not a place you should really hang around at night. On the edge of the plaza sits the large library from EPM as well. Across from Plaza is an area known as Alpujarra, which is where the center of government for Medellin and Antioquia sits. The main draw here is the large and impressive Monumento a la Raza at the center of the plaza. This statue depicts the history of Colombia and the many struggles it has faced. On the eastern edge also sits the Museo del Ferrocarril, the train museum which is dedicated to the importance of the train in the economic development of Antioquia and Medellin. Admittedly, it’s basically just a train sitting there on some old tracks. Across the Avenida del Ferrocarril sits the famous Barefoot Park, one of Medellin’s many efforts to create dynamic and cool public spaces that are accessible to all, despite their socioeconomic background. Here you will find big fountains, wading pools, bamboo forests, and sandy areas, all of which are designed to be experienced barefoot. 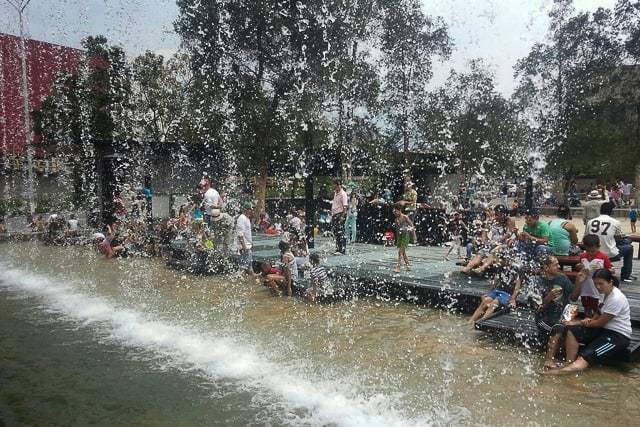 This area often turns into an open-air and free water park basically, filled with children frolicking in the fountains and playing in the water features. It is a cool space! Near the Barefoot Park also sits the Museo de Agua, the water museum. 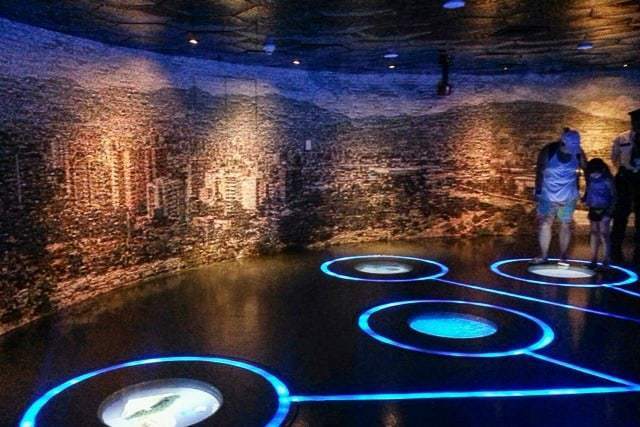 Now a museum about water doesn’t sound like the most interesting thing, but Medellin does museums really well in terms of education and interactivity, and this museum is no exception. Here they will talk about the importance of water, where the local water comes from, teach a lot about ecology and conservation, as well as touching on the numerous ecosystems in Colombia (like the Paramo, Amazon, Andes, and so forth) which can be helpful in your future travels through Colombia. It has nine different rooms which are all related to the use of water. This museum is super cheap too at just about $2. 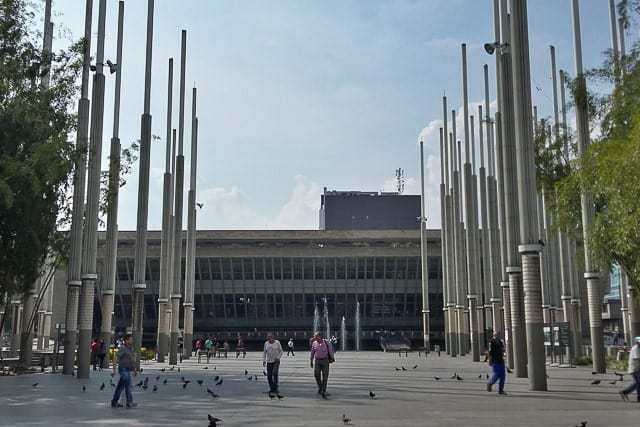 Located well west of Plaza Botero is the massive and sprawling Plaza Minorista which is the largest and most varied public market in all of Medellin. 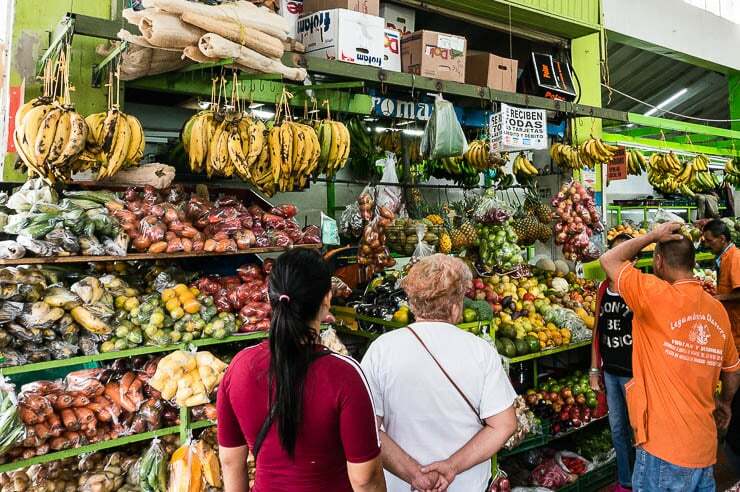 If you’ve never been to one of these big crazy markets where they sell anything and everything ranging from exotic fruits, animals, household goods, and serve up some killer food for cheap prices, then it is worth checking out. It is busy and full of interesting sights and smells, and it is something I recommend doing. Do NOT walk to Plaza Minorista however, it is not safe to do so from the core of Medellin’s Centro and passes along a particularly shady area known as Avenida de Greiff which is full of homeless and bazuka smoking drug addicts. It is best to take a taxi here, honestly. 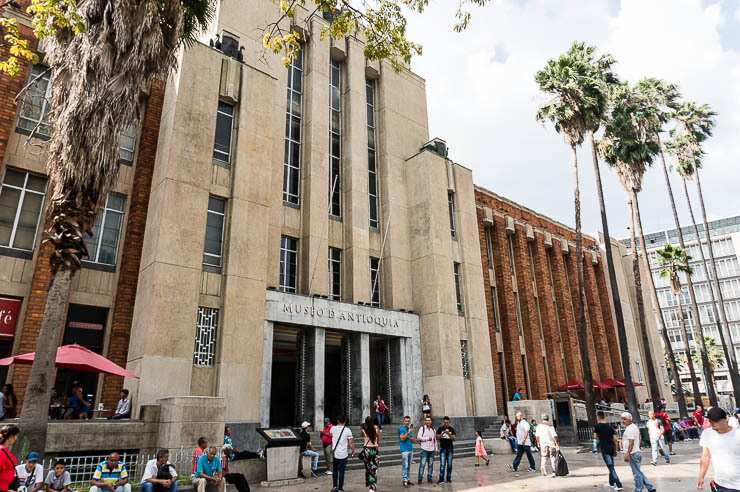 In lieu of Plaza Minorista, you could go to Placita de Florez which is another bustling market (albeit much smaller) that sits in a more agreeable part of downtown just a few blocks from the Museo Casa de la Memoria. A few blocks from the San Antonio metro station sits the large San Antonio Plaza, the largest of downtown’s plazas. At the southern end of the plaza sits the domed church also known as San Antonio (surprise!). The east side of the plaza is lined with a number of kiosks where you can grab a beer below the shade and pull up a plastic chair with the locals, alongside a number of other Botero statues, but the real draw here is to see a specific piece of art from Botero… One that has been blown up. Back in 1995 one of Botero’s statues (El Pajaro) was stuffed with 22 pounds of dynamite and detonated in the middle of a large concert in the plaza. The resulting blast killed 30 and injured more than 200. FARC claimed responsibility for the terrorist attack. 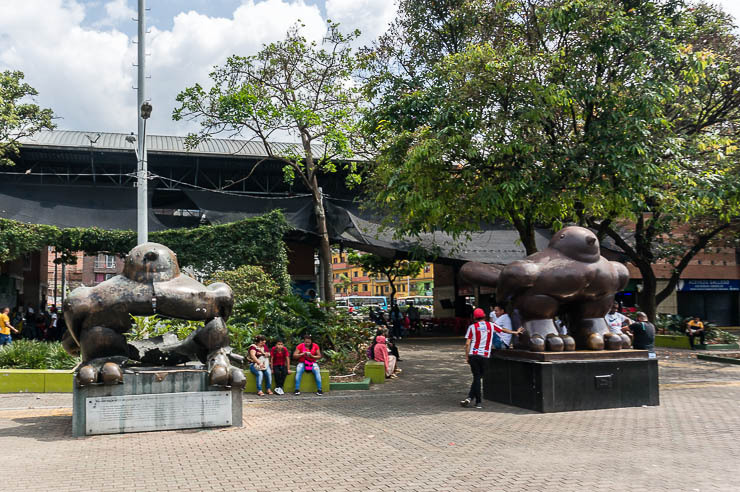 In 2000, Botero donated an identical statue but insisted that he bombed out remains of the original statue remain… Now the statues together are known as the Birds of Peace, one a symbol of Medellin’s violent past and the other a symbol of its bright future. Credenza is a cool space that sits atop the Colombo Americano building, offering a medium-sized outdoor balcony overlooking the city. It’s a good place for a drink and a bite to eat, offering up some original dishes based on Colombian favorites, like glazed chicharron for example. The food is quite good, but the real draw here is the view. It’s a perfect place to head just before sunset for a cerveza or cocktail. This is hands down the best place for dessert, in the city, in my opinion. 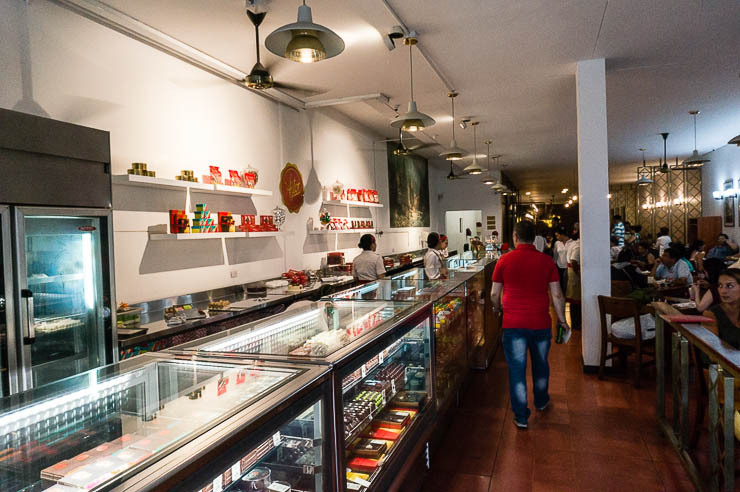 This place is an institution here in Medellin and offers up all manner of sweet treats, but the best of the best is definitely the chocolate cake. It is hard for me to resist a piece of decadent chocolate cake and a tinto from Astor. This place rocks, check it out. 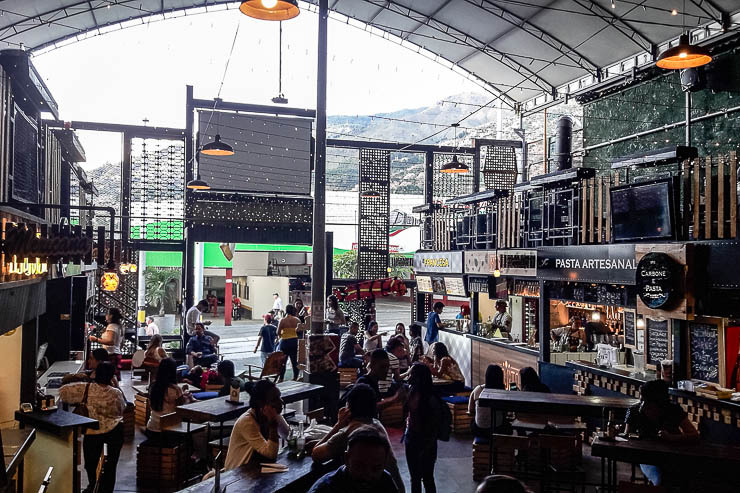 The Mercado del Tranvia is like a mini version of the awesome Mercado del Rio, which is a large warehouse converted into an incredible dining destination. The Mercado del Tranvia sits up in the Buenos Aires neighborhood, which is accessible by walking uphill along Ayacucho, or you can hop into the awesome Tranvia (streetcar) which leaves from San Antonio station and hop off at Buenos Aires. Prices aren’t super cheap here ($7-10), as it is slightly upscale for Medellin, but it is an undeniably cool place with lots of different options. This neighborhood is also famous for food, so there is also plenty of other famous Colombian street foods which can be had just outside. Downtown near Plaza Botero sits this unassuming vegetarian restaurant run by the Hare Krishnas. It is probably Medellin’s most well known vegetarian restaurant and is certainly the best downtown. They serve healthy and cheap vegetarian food that will actually fill you up. Soup, main course, dessert, and juice can all be had for about $4. I’m not a vegetarian, but I really liked this place. This is a great little hidden gem of an Italian restaurant sitting north of the Colombo Americano building… There’s nothing super special about the space, they just serve up good, authentic Italian food for a good price. Like Astor, Versalles is an institution in Medellin Centro! This place is more of a typical bakery (they’ve got desserts as well), while they do serve up menu of the day or other full meals. This place is popular and makes a good place to grab a bite to eat along Junnin Street. 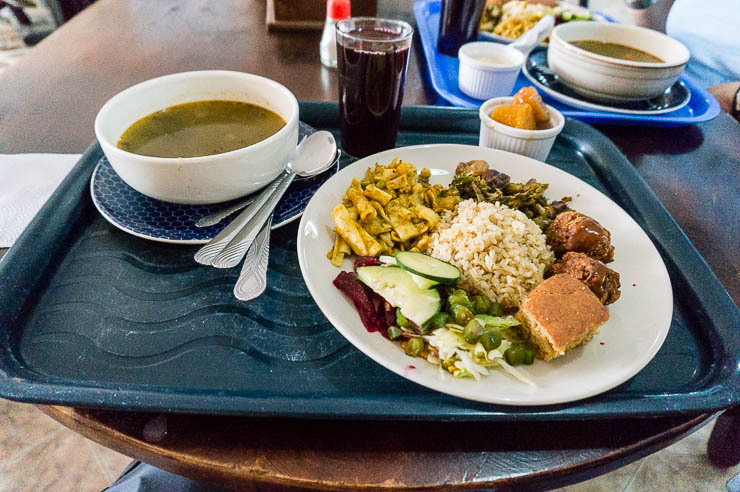 In terms of typical Antioquian cuisine, Hatoviejo is one of the best out there if you are looking for Bandeja Paisa, Cazuela de Frijoles, or other typical Colombian food. Prices are reasonable for the large portions. There are various Hatoviejos throughout the city, but the one downtown is near Coltejer Tower. There is a lot of great nightlife in Medellin, but most travelers overlook the nightlife in Medellin’s Centro. What I like about it here is that this part of town offers up a variety of tastes, styles, and music that just isn’t seen in other parts of the city. Here’s a sample of some of the most notable and interesting places. Nestled in the plaza between a number of residential towers is a popular place for locals to gather over cheap beers and cheap food, especially for those who love classic rock music or heavier rock. Expect to see college kids dressed up like rockers, sipping cheap bottles of Pilsen or Club Colombia on the steps out in the courtyard as the music spills out from the bars. Archangel is a classic rock joint here. Rock Symphony is another that’s been around for almost 20 years, and which also serves up some pretty killer pizza for cheap (like $7 for a two-person pizza). Beers are cheap everywhere here, and there are many other options. Great place for cheap crepes too. A block south of the Torres is La Pascasia which is a dynamic space where art meets music. Here you can expect to find live music in a range of different styles (depends on the night) as well as interesting art exhibits. This is a hip place, tucked around small theaters and frequented by artsy types. 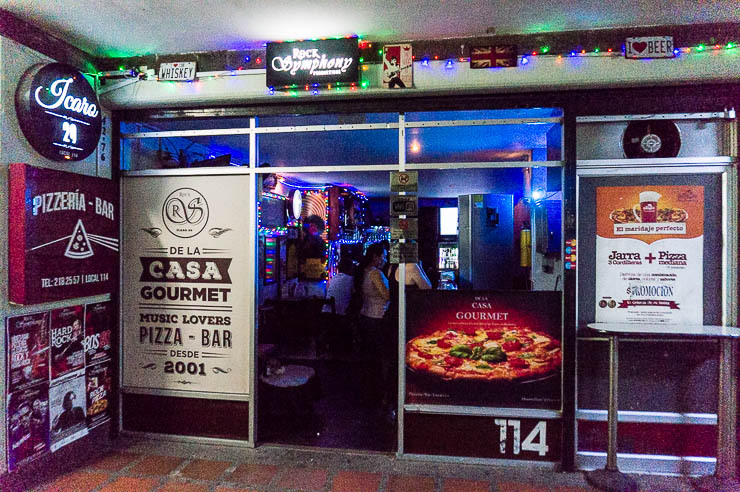 Maracaibo street sits directly east of Parque Bolivar and it has a number of cool nightlife spots, such as El Acontista which is a jazz bar in a bookstore. Come here for a bottle of wine and take a break from crossover or reggaeton music. They also serve good pizza here. Along the same street is the famous Eslabon Prendido, perhaps the best salsa bar in the city. Come here on a Tuesday night for live music and a packed place where sweaty people are tearing up the dance floor. If you want a table, you’ll have to get bottle service. Also on this street is Wall Street, another cool rock bar, and the notorious Parque de la Periodista where tons of kids gather to drink in the park and smoke marijuana. 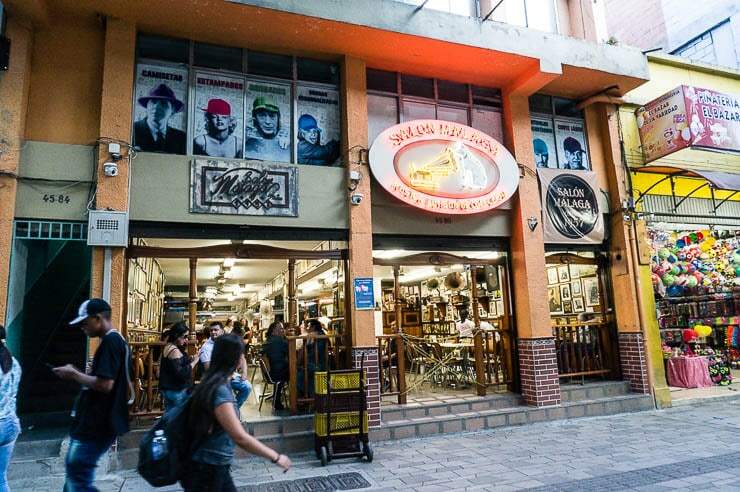 Closer to the San Antonio metro station is Salon Malaga, another institution here in Medellin Centro. This is a tango bar which also features a live tango show every Saturday from 5:30 to 10 pm. This place is in hot demand though, so you have to make reservations in advance if you want to visit on Saturday, it also has a minimum drink consumption of 50,000 pesos (about $16). I really loved this place, especially when the dancers came out toward the end of the end. The crowd truly gets into it here. 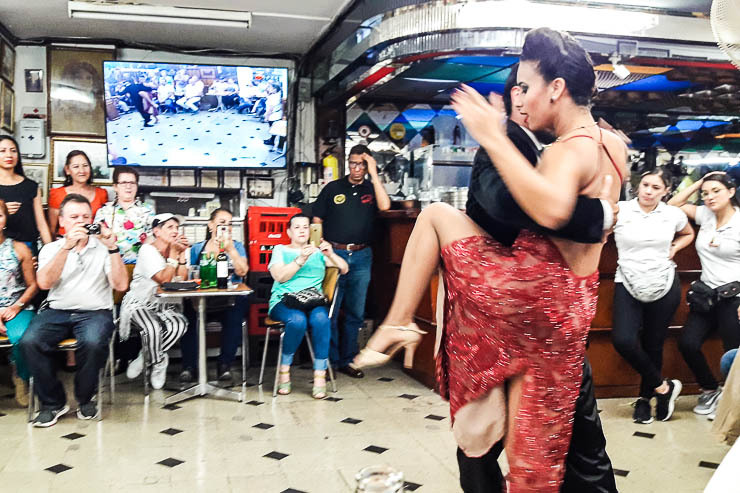 The whole experience brought me back to our time in Buenos Aires, the capital of tango. El Laboratorio de Cafe sits on the terrace of the Museo de Antioquia, overlooking the famed Plaza Botero. The location is among the best in the entire city, and thankfully they also serve up some really good coffee and do preparations ranging from V60, siphon, Aeropress, and others. It’s really good coffee. Just avoid the Iced Latte — it was more milk than coffee. Cafe con Mucho Amor is one that I’ve heard really great things about, but haven’t visited yet… Supposedly has great coffee and cheap prices. I plan to get here the next time I’m in Medellin Centro. It sits inside the Palacio Nacional off of Carabobo street right near El Hueco. Tostao is a new coffee chain that has quite literally taken over the city. They have positioned themselves as THE place for good quality coffee and bakery items but with prices that are cheap and accessible to locals (unlike Starbucks for example, which is basically for the wealthy here) and which is why they’ve had such huge success. I can state without a doubt that the coffee here is really good and for prices that are like HALF that of any indy coffee shop. Cafe de los Andes is a cooperative coffee chain owned by the local growers here in Antioquia. 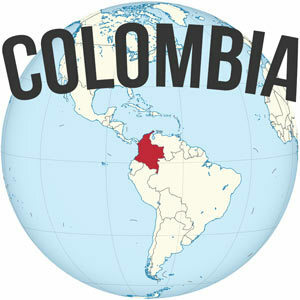 The coffee here is really, really delicious, and right now is my preferred place to buy whole bean coffee in Medellin. Prices are good here, they sometimes have great food and drink combo promotions too. I highly recommend checking it out. This one in El Centro is located in Plaza Mayor near Alpujarra and the Barefoot Park. 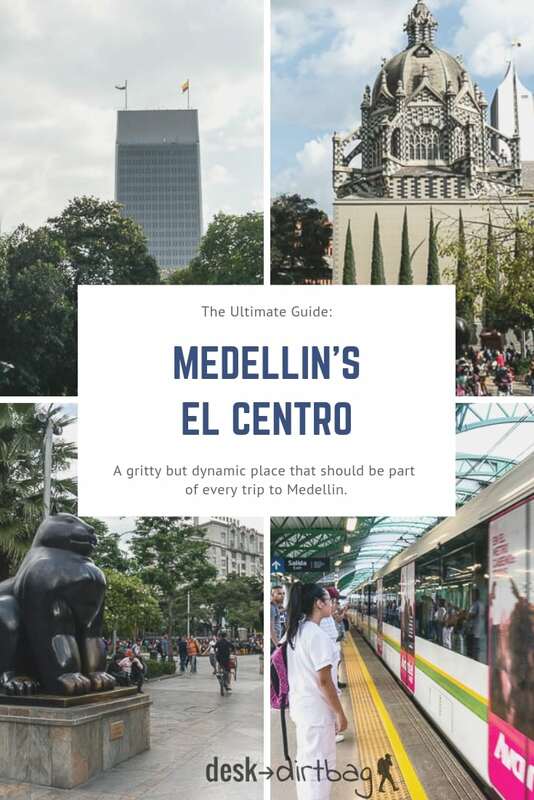 So there you have it, the most comprehensive guide to the Medellin Centro, one which I hope will open up more travelers to some of the cool things to see in Downtown Medellin, and one which will get them off the typical tourist gringo trail here in town. 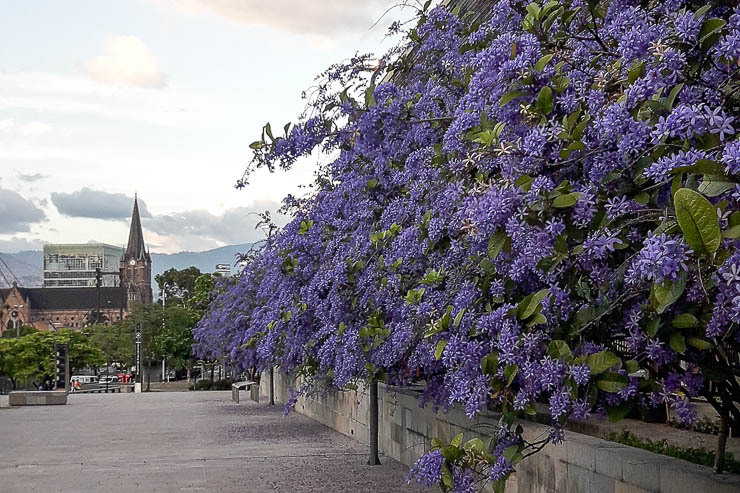 I’ve been visiting Medellin’s Centro on and off now for quite a while, so this is like a highlight reel of options but isn’t something that you could do all in one day. 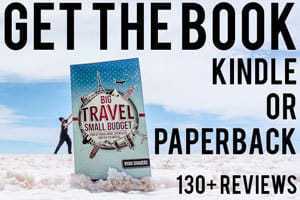 Honestly, there are lots of things to explore here, and while it might take some effort to uncover the gems, I hope this guide gives you a quick start to some of the coolest places… Because I’m sure that if you give it a chance, you’ll see what makes this city special and find some cool and worthwhile stuff in the heart of the city. 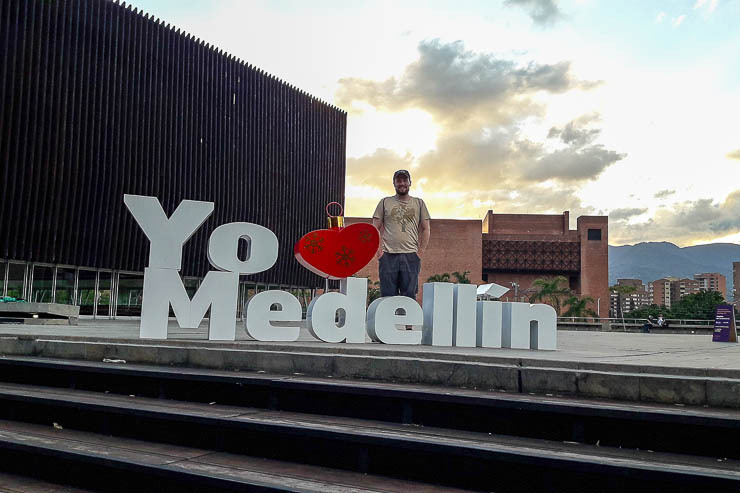 Also, if you are alone and visiting downtown Medellin for the first time, you are probably best off going with the awesome free Medellin walking tour. It is an excellent way to see the city in a safe, guided way, allowing you to get your bearings to see where you would want to come back and explore while hearing a lot about the tumultuous history of Medellin and Colombia. 100% recommended. Check out my take on the best Medellin tours. Did you enjoy this comprehensive article about La Candelaria Medellin Centro? Then please take a second to share it on Pinterest, Facebook, or Twitter. Thank you!